At the FOSA Board of Directors Meeting held on December 3, 2017, the Board adopted an Excavation Policy, which you can read below in its entirety. This policy aims to define the types of work FOSA Volunteers will participate in (or not), while representing FOSA. This policy was developed in consultation with the current and former State Archaeologists and the former FOSA President and current Vice President. Our goal is to protect FOSA and its volunteers and clarify the distinction between salvage archaeology and mandated cultural resource management work. If any members have questions about this policy please e-mail me at mmr03@yahoo.com. Members and volunteers of the Friends of the Office of State Archaeology (FOSA) assist the State Archaeologist in certain archaeological excavations related to education, research, and salvage. • FOSA members will participate in excavations under the direction of the State Archaeologist on projects providing research and educational opportunities to the public. • FOSA members may also participate in certain archaeological surveys and excavations on public and private lands when no federal, state, and/or municipal regulations, laws, and/or policies require the consideration of archaeological resources prior to a particular project's funding and/or approval. 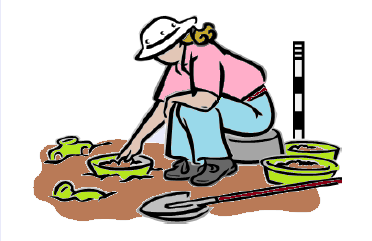 • As a non-profit organization comprised primarily of avocational archaeologists, FOSA will not participate in any type of archaeological survey or excavation that is required by federal, state, and/or municipal regulations.